Unisportstore.com proudly present our latest design adventure. 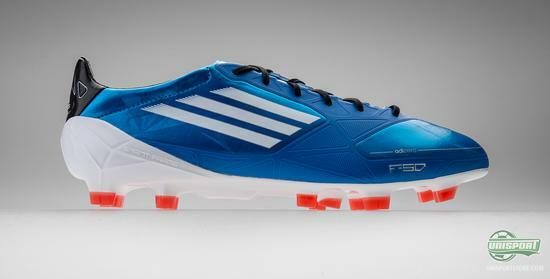 We have designed four new colourways for the Adidas F50 Adizero, with the aim of providing some classic and minimalistic colourways, very much in line with the spirit of the boot itself. Check out the boots right here and on our new campaign site Less is more. 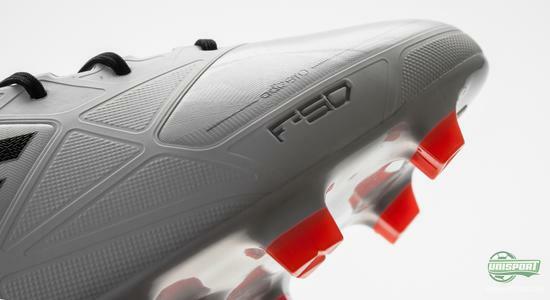 Unisportstore.com is responsible for the design of four new and, in our opinion, super slick colourways for the Adidas F50 Adizero. The point of departure is the virtues of the boot, where minimalism plays a key role. We will only have a rather limited quantity, and they will become a part of the exclusive Less is More Collection, that you can only find right here on unisportstore.com. Does it sound tempting? Then read along, as we go through the elegant colourways. 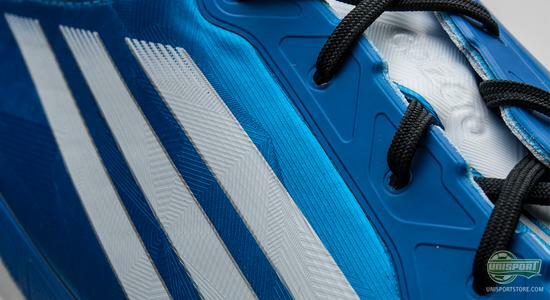 The first colourway is the Adidas F50 Adizero Blue/White, based on one of the most classic colour combinations ever. An elegant cobalt blue that almost looks like mother of pearl when the light strikes it; combined with white stripes, and you have a timeless look. As an extra little touch the boot has been decorated with red studs, thus giving it a little edge. Weighing in at just 165g, the Adidas F50 is among the very lightest and minimalistic boots on the market. Simple concepts, all with the aim of ensuring low weight, great acceleration and an excellent touch is what ensures the succes of the Adidas F50 Adizero. 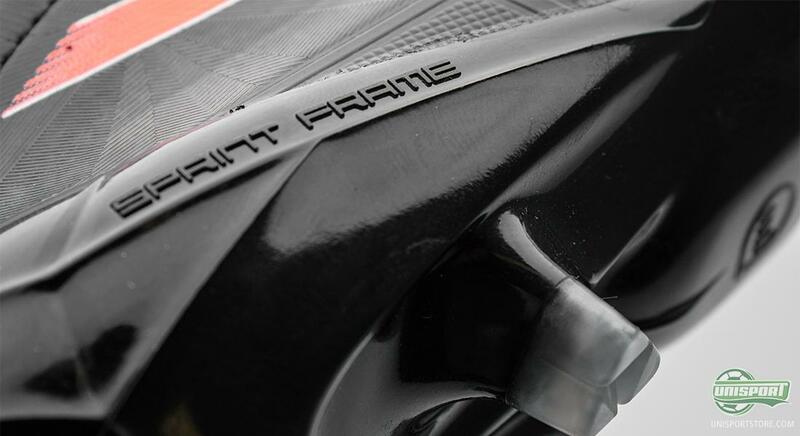 The Sprintframe outsole ensures low weight and stability, and the Traxion 2.0 stud system, with triangular studs, provides the grip that you need and then some. The new colourway is exclusive to unisportstore.com and you can check it out, together with the other new colourways, on our new campaign site Less is More right here. 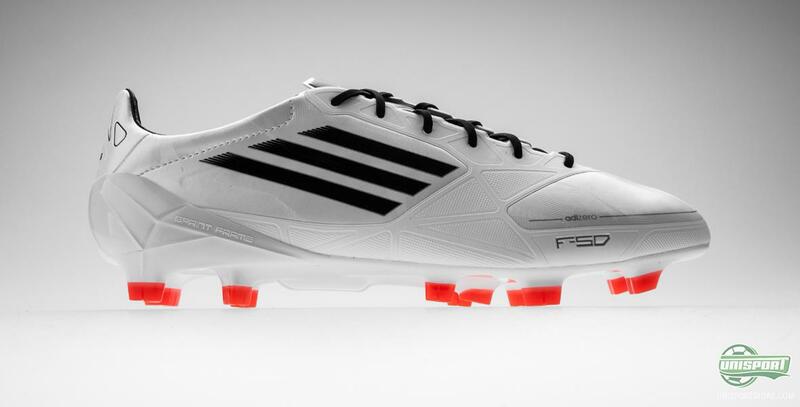 If you prefer white boots, we have created a little gem for you right here. We have given this top modern boot an old school look. With a striking white upper decorated with the iconic Adidas stripes, here in a black colour, as well as, the red studs on the bottom. A minimalistic colourway and a great expression of how less can become more. The Adidas F50 Adizero White/Black is exclusive to Unisportstore.com as a part of the Less is More Collection. 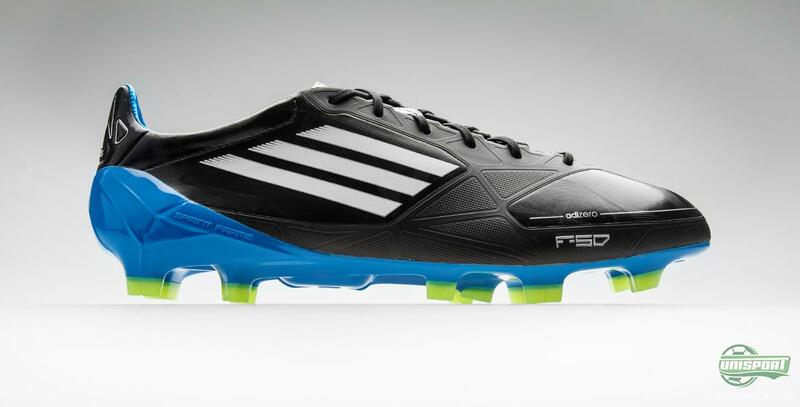 The stability of this lightweight boot comes from the Adidas' Sprintweb technology, which serves as a backbone. It provides your foot with stability needed for doing twist and turns and in locks your foot so you don't feel off making that crushing change of direction. 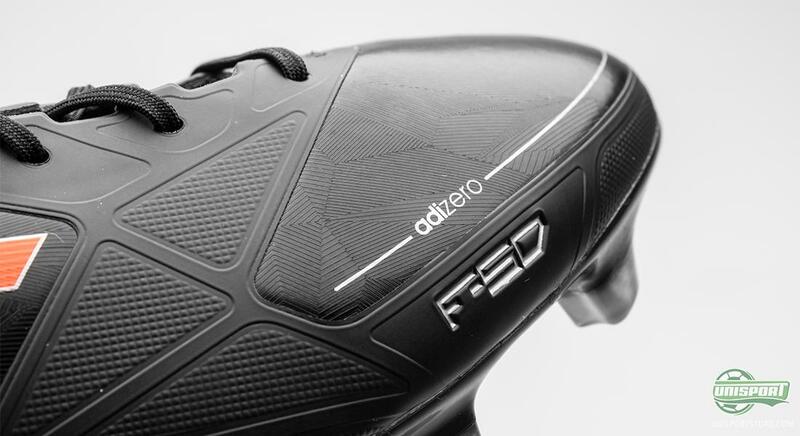 In general, the Adidas F50 Adizero provides you with the confidence needed to make the last move, perform the cheeky dribble or make that crucial last pass. With a great pair of boots on your feet, the confidence will build without you needing to think about it. Check out all four colourways right here on our Less is More campaign site. At the other end of the colour scheme, we present the Adidas F50 Adizero Black/Blue, if you prefer a more retro inspired look. 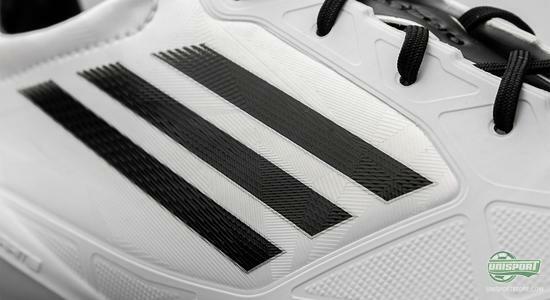 Similar to the iconic Copa Mundial, the upper is predominantly black with white stripes. We have added a little modern twist with a fresh blue colour on the outsole, as well as, neon yellow studs to make it pop. The millimetre thin upper made from microfibre is one of the trademarks of the Adidas F50 Adizero. Comfort, low weight and an excellent touch all come together in synergy, and the Sprintskin provides the closest you will get to a bare feet touch on the ball. If you want to own a colourway unlike all the others you will need to be fast, as we will only have a rather limited quantity. 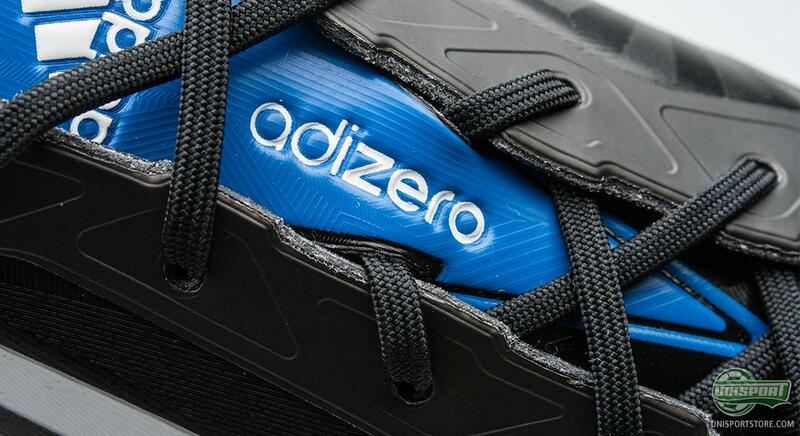 Check out the entire selection of the Limited Edition Adidas F50 Adizero boots right here, where you will also find a nice wallpaper and more. The last colourway is already a hit if you ask us. 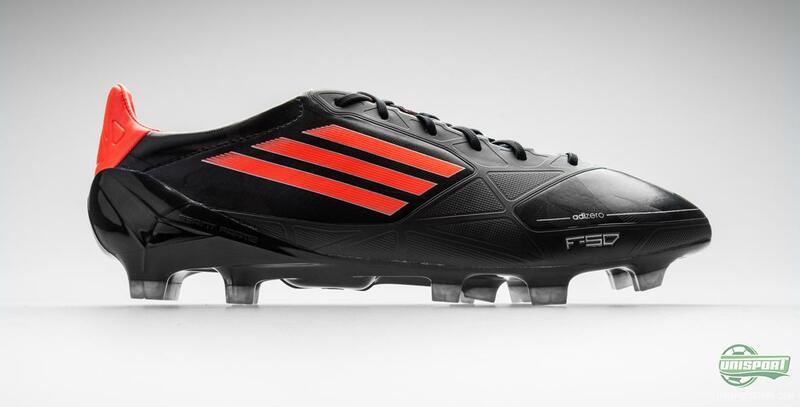 The Adidas F50 Adizero Black/Orange has a certain mysterious feel to it, and it really catches the eye without being too much. The black upper is decorated with a fresh orange colour, and with its metallic studs the rather raw look is complete. Again, Unisportstore.com are responsible for the design, and as it is the case with all four colourways, they are exclusive to Unisportstore.com and can not be bought anywhere else. The list of players who prefer the Adidas F50 Adizero is long, and includes Gareth Bale, Ashley Young, Lukas Podolski and of course Lionel Messi, to name but a few. Now, we can proudly present the Limited Edition colourways designed by Unisportstore.com. But you will have to move fast if you want to get your hands on these exclusives; we have a feeling that they are going to be ripped off the shelves. You can find all four colourways on our Less is More campaign site, where you'll also find cool wallpapers and much more. 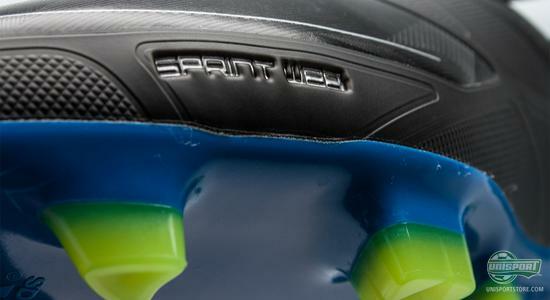 We are super excited about the result, and the biggest problem among us, is what colourway to choose. 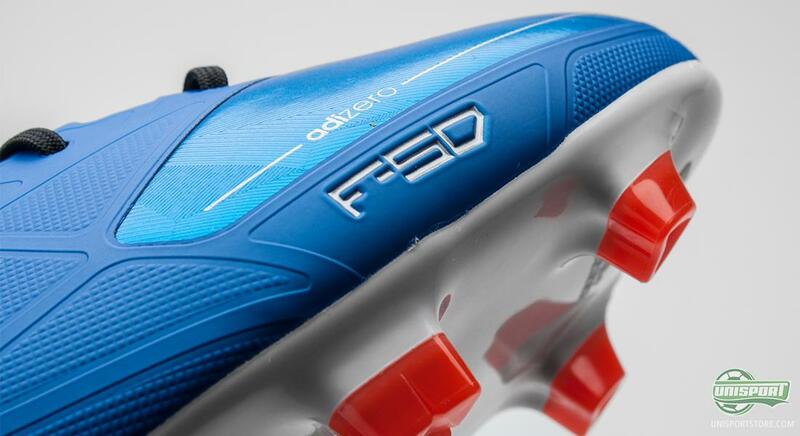 What do you think of the Adidas F50 Adizero Less is More Collection? Are you thinking of getting a pair? Which colourway do you prefer? We would love to hear your opinion and which colourway you prefer in the comment field just below.